Outer layer is made of premium water-repellant fabric used on high-quality winter outerwears. 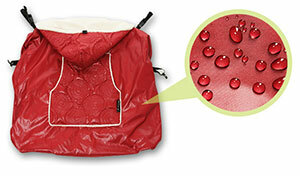 It's soft and shiny, yet durable and resistant to water and wind. 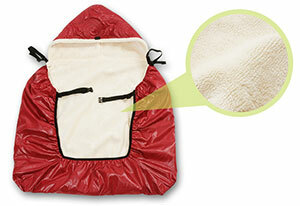 Inner layer is composed of super soft EF Velboa fabric which is softer and warmer than regular fleece. Hi-Tech Laser Quilt is much more resistant to water and wind than regular quilt. 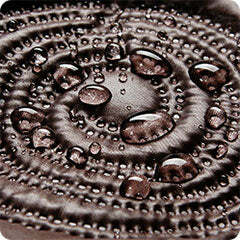 It is much more durable and no more dealing with loose threads which is common in regular quilted products. 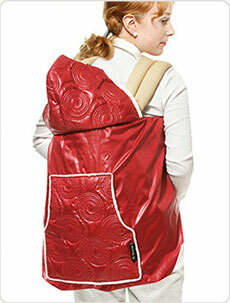 Harness is easily adjustable to secure onto baby carrier's shoulder straps regardless the size and thickness. Buckle around your back to secure the cover from wind blows. 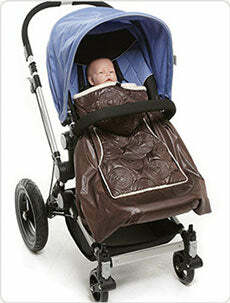 Elastic band secures the cover to surround the baby in the carrier and prevents wind penetration from every direction. 1. 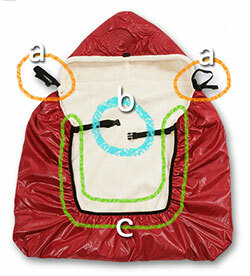 Cover the baby inside the carrier, and make sure the cover surrounds the baby. 2. 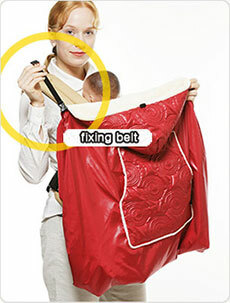 Buckle the harness on to the baby carrier's shoulder straps. Harness strap should wind around the shoulder strap from inside to outside the buckle. 3. 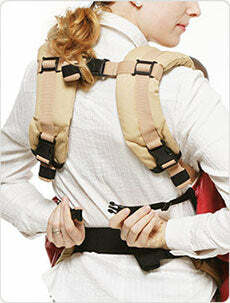 Adjust the length of the harness to secure tight onto each shoulder strap. 4. Adjust the length of the wait belt and buckle around your back. 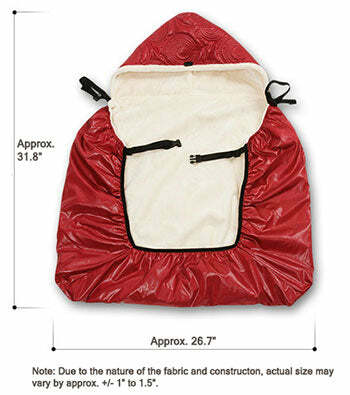 Secure the cover onto the carrier before wearing it in backpack position. Buckle the wait belt around your chest. Secure the baby carrier harness onto the side of the stroller's frame and buckle the waist strap around the bottom of the seat. (Installation on strollers may vary depending on different stroller models).